"Like many of menswear’s great inventions, the button-down collar came from sports uniform (Polo, to be precise). These shirts will see you through to most appointments in your week, many of which are much more intense than riding a speeding horse with a club on your hand. It all makes sense, doesn’t it?" "Made from 100% non-iron cotton with a button down collar, ideal to build business casual looks." The fit and look are exactly what I was hoping for. This is not a slim fit shirt. It is still pretty baggy and I'm an average build (not skinny). Response from Charles Tyrwhitt: As we now offer four distinct fits, the Slim Fit sits more in the "regular" category - a great all-around fit suitable for the majority of customers, but there are slimmer options available. It can be tricky to get your perfect fitting shirt when first ordering, so never fear, as returns are always possible under our no quibble 6-month guarantee! We'll gladly exchange the shirt for the Extra Slim Fit, which I'm sure will fit much better. Great product so far. Great style, great fit, great quality. I've purchase a handful of shirts from CT in the past and they've been great. I recently purchased 4 more and I'm not so thrilled. Typically, the material is thick, sturdy and truly requires no ironing. They've all fit almost exactly the same. This last batch each fits a bit differently, they are all very thin material, and they all came out wrinkled from the first wash. To be fair, I did purchase business casual shirts this time, when I typically purchase a more formal shirt, but I was disappointed. For the price I paid for 1 shirt from CT I can get 2 or three from Van Heusen, so I expect a much higher quality. I'd say these were on par with the $20 shirts from the outlets. They're not bad, just disappointing. Response from Charles Tyrwhitt: I am sorry that you are not pleased with your recent purchases. At Charles Tyrwhitt, we do our best to ensure all of our products are made to the same high specifications, so it is most unusual that the shirts do not fit in the same way or are of the quality you've come to expect. 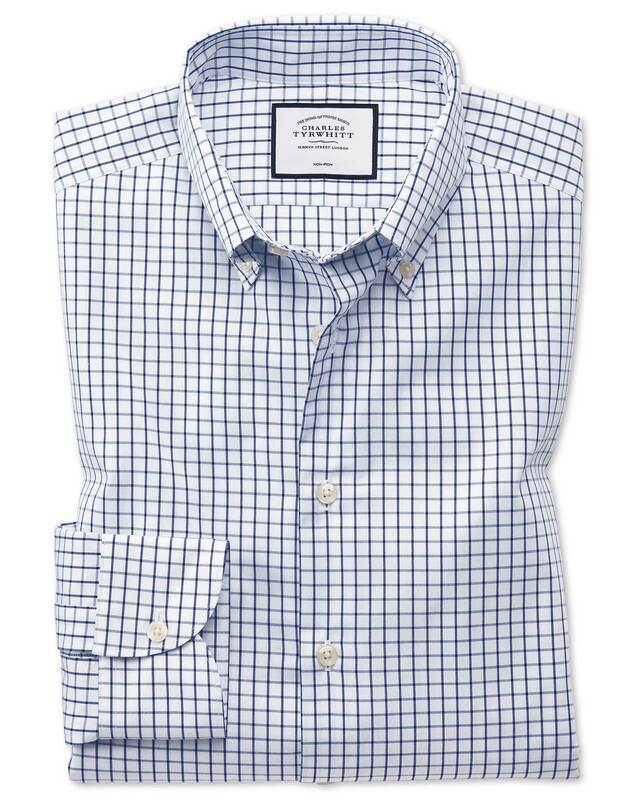 Our business casual shirts are made using our Pinpoint Oxford weave, producing a medium weight thickness. We would love for you to absolutely adore every shirt in your wardrobe, so you are of course more than welcome to exchange these for something more suited, perhaps our best seller, The Non-Iron Twill? Please be assured your comments have been shared with our Buying Team as we are always looking for ways that we can improve our products and services. Response from customer: I appreciate the response. Customer service with CT has always been top-notch.